Look what we have here, the Motorola Droid Bionic appearing while the camera is rolling. Instead of a Mr. Blurrycam picture we actually get a video today. This may not be much but it does show us the boot animation, the new Moto Blur or whatever you want to call the user interface, as well as another shot of Speedtest giving the Bionic and its 4G LTE a run for its money. We have been waiting a long long time for the DROID Bionic and the launch date is getting closer each day. We are still hopeful for that September launch we have heard more than a few times. Without much talking here is the video below for your viewing pleasure. And there it is, the Droid Bionic. while the video doesn’t reveal much we can see that it only has one bar of signal while running the speedtest app so don’t take those as completely accurate. I know from my own testing that full bars really helps the testing results. The tipster mentions the new UI changes are nice, snappy, and are much smoother than previous versions. 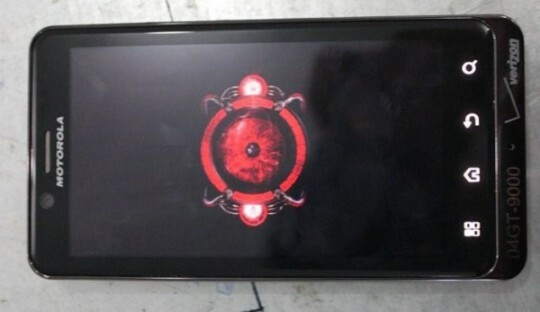 For all the latest details and leaks regarding this device head over to the Droid Bionic Portal.